Today it is my pleasure to welcome to my blog best-selling crime author, Neil White to talk about his new novel Lost in Nashville which will be published by Manatee on November 9th. I found this novel to be a fascinating read and listened to quite a lot of the songs mentioned whilst reading. James Gray is a lawyer and his life is a success. Or at least, he thinks it is, but something is missing – a bond with his father, Bruce. Bruce Gray is old, retired and estranged from his family. He spends his time drinking and drifting in the small seaside town in England that James once called home. James decides to take Bruce on a road trip, to try and connect with his father through the one thing that has always united them: a love for Johnny Cash and his music. Together they travel through Johnny Cash’s life; where he grew up, the places he sang about – a journey of discovery about Johnny, the South and each other. Always fascinating, an evocative and emotional road trip, Lost In Nashville will captivate you, inform you and along the way may even break your heart. 1) I’m aware that you usually write crime fiction. Was this novel something you always wanted to do or did the death of Johnny Cash give you the inspiration? Or was there another influence? It was the book I always wanted to write, because it was very personal. My father was a Johnny Cash obsessive and, as I grew up, that was the music I heard. It was very much the soundtrack to my childhood and made me a fan. I got to the point where I thought that I needed to get on and write or I’ll never get round to it. It wasn’t inspired by Johnny’s death, but perhaps it gave the book a little more poignancy. 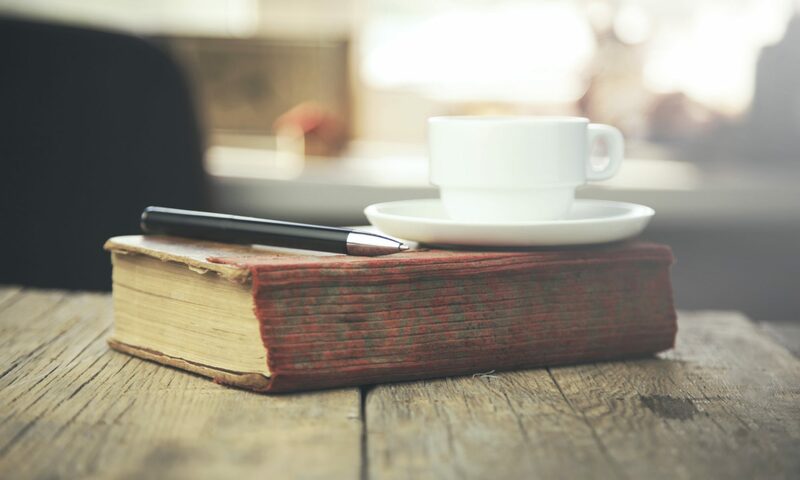 As a book, it took various forms as it evolved. My initial intention was to write as a Bill Bryson sort of book, a road trip, all factual, but as I tried to write I realised that my skills were not in that field. I decided to fictionalise it, but then make it autobiographical, write it as if I’d taken my own father on the road trip. I finished that version and decided that there was too much of me in it, as the book was never meant to be about me. I fictionalised it even more, although elements of all its incarnations make it into the finished book. 2) Was the road-trip as emotional as it appeared at times in the novel? Not really, I’m afraid to say, as I didn’t take my father with me, he was too infirm for that. Instead, I took a drinking buddy with me, someone I used to visit the States with before I had children. I told him that it was my trip, my route, so I would provide the hotels and car. All he needed was his air fare and some beer money. He was fine with that, and I devised the route so that we’d be at wherever we were staying by around seven so that we could head to a bar. The emotion I felt doing the trip was one of awe and wonder, because I was visiting places I’d only heard about in songs. To be a lifelong fan and to suddenly find yourself in Johnny Cash’s boyhood home, or staying in his motel room in Starkville, Mississippi, was amazing. 3) Did you write the books around the songs featured or was it the other way around? The book came about really because I was looking at a map to find Dyess, Arkansas, the town Johnny grew up in, out of idle curiosity. As I looked, I saw how close Memphis was, and then Starkville, where he based a song after spending a night in the drunk tank, and it occurred to me that I could travel his life by tracking his songs. The more I researched, the more song locations I found, and I realised I could do it in chronological order. Johnny Cash, cradle to grave told through his songs. That’s how I came up with the idea of having each chapter based around a song, because I was visiting some places purely because of the song. Like Starkville, Mississippi. Or Canton, Mississippi, where Casey Jones died. Or Gatlinburg, Tennessee, the setting for Boy Named Sue. I just needed to wrap a story around it, and I tried to match the personal relationship between the characters in the book to the state of Johnny’s life at the time. 4) How difficult was it to choose the songs that you mention, and were there any that you felt that you couldn’t use? Geography picked some, because it was a road trip. There were others where I had to be a little more creative. For instance, the characters pass through Selma, Alabama, on their way to Montgomery, the site of the Hank Williams Museum and the beginning of Hank’s last journey. Those places are more famous for the civil rights movement, but Johnny Cash didn’t write or sing any songs that were overtly in support of the movement. One of my favourite songs however, Orange Blossom Special, was released at the same time as Martin Luther King was trying to lead the marches from Selma to Montgomery, in February 1965. In those chapters, the characters talk and wonder why he didn’t outwardly support the civil rights marches, and they talk about the civil rights movement. I would have loved to have extended the trip to include Washington DC, so I could have talked about Mr Garfield, Johnny’s song about the assassination of President Garfield, which seems to be very much a forgotten assassination. The site of the shooting is now part of a shopping mall. In the end, the distance was too great, because I wanted to end the trip in Nashville and at Johnny’s grave. 5) If you had to recommend one song to somebody who didn’t know his music which would it be? Orange Blossom Special, for the songs he recorded in his heyday. It has the railroad rhythms that was the backbone to many of his songs and just flows along. And everyone knows Ring of Fire. 6) Did doing the road- trip make you think differently about Johnny? e.g. did you find out anything that you never knew before you went? I didn’t find anything new because I had done a lot of the research in advance and the trip was really about visiting the places. What I got out of it was just seeing the places he’d sung about. That was what I wanted from it, and I loved it. What I realised too was how hugely popular he was, and how huge country music is. Every bar we were in when visiting Nashville played a Johnny Cash song at some point. The Johnny Cash Museum was the only one we queued for. The bars in Nashville got very busy, a band in every one, and they were singing cover songs and everyone knew the words and I knew I’d never heard them before. I understood how there is a huge scene that just isn’t seen over here. 7) Would you do a road-trip again for a different artist or author or do you feel that this was something you could only do once? I couldn’t imagine doing a road trip for another artist but perhaps for a genre. One part of the trip that I loved researching was the history behind the music, both the blues and the traditional country music, Johnny’s music being a mix of the two in some ways. My buddy and I had a great day roaming all the places of old blues legend in the Mississippi Delta, like Dockery Farms, or Greasy Street in Ruleville, or Tutwiler, or Robert Johnson’s grave. Much of it was run down but there was no denying it was atmospheric. Once we headed east, we toured the area around Clinch Mountain, where the original country artists lived and who gave us the “big bang” of country music in the legendary Bristol Sessions. I’d love to do a book exploring the roots of country music, again as a road trip, or possibly the blues. 8) How exciting is it to be one of the first authors to be published by a new publisher? Incredibly exciting. I knew the book would always be a difficult sell to mainstream publishers because there is too much Johnny Cash for the fiction publishers, and too much fiction for the music publishers. From the outset, Lisa Hall and Liz Wilkins from Manatee have been supportive of the book and wanted to publish it. They approached me, I didn’t approach them. I hope their faith is repaid. For me, I just loved writing the book. As much as I enjoy writing crime fiction, and I want to keep on doing that, this book is very much a labour of love. I hope this comes across. Many thanks to Neil for taking the time to answer my questions. Lost in Nashville by Neil White. A father and son, the open road, and Johnny Cash. Number one bestselling ebook author Neil White has penned an emotional journey through the life and songs of Johnny Cash, as told through the eyes of a fictional English lawyer, James Gray, whose life is a success. Or, at least, he thinks it is. It has something missing though: a bond with his father, Bruce. Bruce Gray is old, tired and estranged from his family. He spends his time drinking and drifting in the small seaside town in England that James once called home. James decides to take Bruce on a road trip, to try to connect with his father through the one thing that has always united them: a love for Johnny Cash and his music. Together, they travel through Johnny Cash’s life; where he grew up, the places he sang about – a journey of discovery about Johnny, the South, and each other. Always fascinating, an evocative and emotional personal road trip, Lost In Nashville will captivate you, inform you, and along the way may even break your heart. Lost in Nashville tells the story of a son trying to rebuild his relationship with his father but it also tells the story of how Johnny Cash’s music was so popular across the decades. Whilst I did enjoy the part of the novel regarding father and son, the most fascinating part of the novel for me concerned Johnny Cash and civil rights in American History. They start their journey at Johnny’s birthplace and are surprised by how understated the memorial is, expecting it to be more elaborate. From then on there is the background to some of his big tracks, Busted, Hey Porter, Going to Memphis and Five Feet High and Rising to name just a few. But it is more than just the music, Neil White talks about Johnny Cash’s life, what it was like growing up in the depression and especially the death of his brother, his marriages and drug addiction. The most fascinating part for me was the section of the book that covered Rosa Parks and the events in Selma. I had heard of Rosa Parks but never knew the story and Selma was just devastating. The film that I had to stop watching and the book that I couldn’t stop reading. I cried in the book, not at the relationship between James and Bruce but when they visited Johnny’s resting place. He was an artist I was familiar with from being married to a huge fan who met him after a show years ago and who I hounded through much of the book with facts about the songs and making him play them. Since reading the book I have ‘listened’ to the type of music much more closely and the tales that they tell. With thanks to the author for the copy received for review, I have since purchased the book. Today, it is my pleasure to host a Q and A with Neil White. 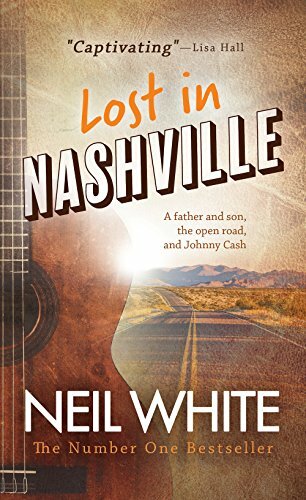 Neil usually writes crime fiction but last week published a novel called Lost in Nashville that is about a father and son who look into the life of Johnny Cash and attempt to rebuild their relationship. The novel is a fascinating read and my review will be published shortly. Do you feel that things would have changed if what happened at Selma hadn’t happened? Yes, except the spark would have been ignited somewhere else. Things had been boiling for a while. Martin Luther King was a prominent figure and had nationwide support. You have to remember that Selma happened more than a year after the famous I Have A Dream speech, when he packed out the Mall in Washington and spoke from the steps of the Lincoln Memorial. Selma accelerated the demands for civil rights, that’s all, because it provided the tipping point. Like the bus boycott in Montgomery following Rosa Parks’s refusal to move from her seat, if it hadn’t been her and at that point, it would have happened somewhere else and over something else. Rosa Parks might have been a weary seamstress when she boarded that bus, but she was also a committed protestor who had been to weekend training sessions, where she and others learned effective ways to protest. She had the fight she’d been waiting for, and there were a lot of people like her. Change was needed, and people were ready for the fight. Selma didn’t start anything, as such, but became the point where people everywhere said enough is enough. Before I visited the town, I was slightly apprehensive, not knowing what kind of town I would find, because the town is a symbol of racism. The famous bridge, where the march to Montgomery started and the police clubbed peaceful protestors, stood out on images as a symbol of white brutality in a very brutal Deep South. When I visited, however, it took on a different meaning, because it is presented as a symbol of hope, the marker for where the scales shifted heavily in favour of civil rights. Selma and protest songs were big news in the 1960s, do you think that today’s media would report differently and have changes in law and the speed that information is distributed make it completely different? Fundamentally, it would be the same. Compare it to the Black Lives Matter movement. It is similar in tone and origin, because the events in Selma accelerated because of the killing of a black man by a white police officer. Depressing to see that fifty years on, little progress has been made. Selma may have been about voting rights, but the message was largely the same as the current movement, that black lives matter in every sense. Black Lives Matter is very much focused on the more direct point that black people shouldn’t be suspects first and citizens second when being dealt with by the police, but the fundamentally the same point is being made as it was in Selma in 1965. Now, it is starting to branch out into a protest movement about economic inequality on racial grounds. The main difference with the events that followed Selma is that as it was dealing with a specific issue, voting and equal rights, and it had an aim it could achieve. The Black Lives Matter movement is more to do with creating a shift in public consciousness and police attitudes, and it will be harder to assess when success has been achieved. Change is usually generational though. The young people of today are the most tolerant there have ever been, and that is something you could probably have said throughout history at any given point. Things will change. There were things being said twenty years ago that we wouldn’t say now. Do protest songs still have the same impact? I don’t think so, but I think it reflects more on how music has changed. Now, music is more eclectic. Back then, there was soul, rock and roll, blues, country and folk. Everyone knew all the chart acts. Now, it is spread over more formats and platforms, and is more market-driven. Gone are the days when A&R people would trawl the smoky clubs of the provinces, looking to hear that new exciting band that is creating whispers. Music has become lazy in that regard, and too financially-driven. Take the music I loved as a teenager, the ska revival of the end of the seventies. In early 1979, Madness were playing in pubs around London, gaining an audience and doing their own thing. By autumn 1979, they were a top chart act, doing the same songs in the same clothes. No remodeling. No reinvention. Come in, record the tracks, take a picture for the album cover and release. I don’t think it would happen like that anymore. Could you even name the current number one? I couldn’t. Go back thirty years, most people could. I think music is listened to differently too. Music used to be something you did as a static thing. You’d sit and listen to an album, pouring over the lyrics sheets and even reading the thank you messages at the end. Now, it feels often like music is what you listen to when doing other things. I’m not saying either is better or worse. I’m glad music was how it was when I was a teenager and older, but now there is access to so much more than before. You lose with one hand and gain with the other, and I accept that as I’m much older I’m perhaps not looking in the right places. But I just don’t get the sense that the youth of today are driven by music in the same way that they were thirty years ago and more. Now, music is the backdrop to their lives. Then, it was the framework. I don’t think protest songs would find the same traction because not many songs filter into the national consciousness in the same way that they did in the past. There’ll never be another Bob Dylan. Not because he was a unique songwriter, and he was just as derivative as all those who have been derivatives of him, but because a songwriter will not be able to get the broad appeal in the same way. Johnny Cash was criticised for not supporting Selma in song, was this justified even though he did support other causes, i.e. the plight of the American Indians, that he believed in? If you protest about too much does it weaken the argument? It is something I look at in Lost In Nashville but I don’t know whether he was actually criticised at the time or whether it is merely something that stands out with hindsight. At the time the events in Selma happened, Johnny Cash’s album Orange Blossom Special came out, February 1965, and there is a civil rights song on there, All Of God’s Children Ain’t Free, so it isn’t right to say that he was ignoring the civil rights movement. To put it into context, however, in the lead up to that album, he’d been getting a lot of criticism for singing about causes that weren’t popular in the country music circles; namely, those in support of Native Americans. He’d taken a lot of flak for his single The Ballad of Ira Hayes, a song telling the true story of one of the American soldiers who raised the flag in the famous Iwo Jima photograph and monument, as well as his album Bitter Tears, all about Native Americans. He had to bring out an album that would bring him back into the country music fold, and Orange Blossom Special was that album, but he did sneak onto it a song in support of the Civil Rights movement. The fact that it came out as the same time as the events in Selma makes the album seem strangely silent on the issue, but he wasn’t to know the events would occur at that time, and they had been bubbling for a while. The sour thought, however, is that it is unclear how much support he would have had for bringing out an album in support of the civil rights movement, as it could have killed his music career. For all the time Johnny Cash was bringing out albums in support of Native Americans, the civil rights movement was gaining ground, and it seems as if the record labels were just about content to let him protest on issues that were vaguely Wild West in tone but I’m pretty sure they would have killed an album supporting Martin Luther King.